Last month, OnePlus announced two extended service plans — B2X Service and B2X Protect for its OnePlus 2 smartphone. In the latest move, the company launched similar protection plans for its latest OnePlus X smartphone. 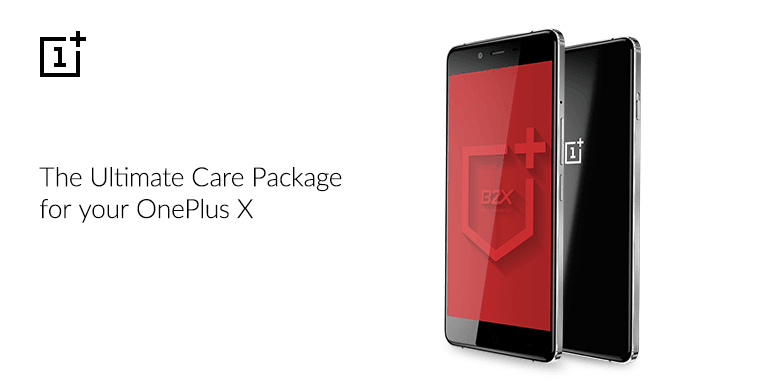 The services launched for OnePlus X are named as B2X On-Guard Plus and B2X On-Guard. The OnePlus X comes with a default one-year manufacturer warranty, but users can extend this warranty with the plans mentioned above. The B2X On-Guard Plus plan takes care of all the defects that are covered under manufacturer warranty for another year after the original warranty period expires. On the other hand, the B2X On-Guard service covers accidental, physical, and liquid damages while the device is still under the original warranty period i.e. under one year of purchase. The On-Guard service also provides complete cashless coverage and complimentary pick-up and drop services. To take benefits of these services, users must buy the B2X On-Guard Plus within 120 days from the device purchase date. While the B2X On-Guard must be purchased within a period of 10 days from device purchase. Both the B2X On-Guard Plus and On-Guard plans can be purchased on Amazon, for Rs. 699 and Rs. 999 respectively.